Ecostrad are a heating manufacturer that provides top quality home heating appliances at affordable prices. These products offer all of the exceptional quality and functionality of a high-end brand name and include generous warranties so you can purchase with confidence. We provide traditional ladder-style rails as well as ultra-modern glass panel towel rails to suit a large variety of bathroom design schemes. Take a look at our range to find the perfect towel rail for your home. What controls are available with Ecostrad towel rails? 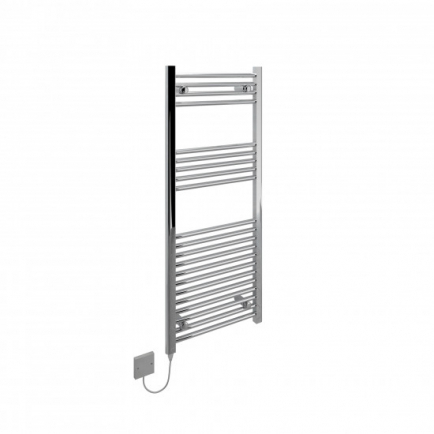 Our Ecostrad TR towel rail range provides an integrated thermostat for greater control over the temperature of the heater which can help you reduce your energy usage. By adjusting the heat levels of your towel rail, you can save electricity during times of the year when you don’t need the towel rail operating at its maximum output. Our largest towel rail in the TR range is also available with a remote programmer which allows you to choose a heating schedule from two pre-set programmes or create a bespoke schedule to fit your personal routine. A remote programmer is included with all towel rails in our Magnum range and they come with a greater range of pre-sets and the option for four separate user-created heating schedules. It also includes a holiday function which allows you to set the towel rail to anti-frost mode for a period of up to 99 days. 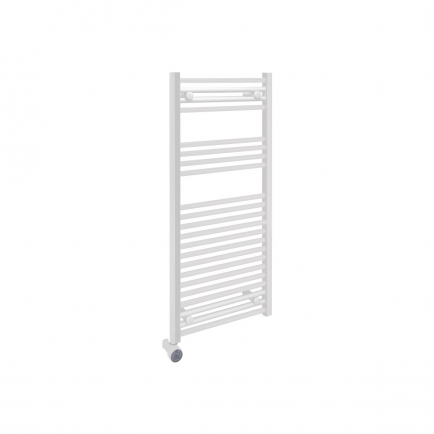 How do Ecostrad towel rails heat? The ladder style rails in our Ecostrad range use an energy-efficient thermal fluid element which is designed to retain heat for as long as possible. The thermal fluid spreads uniformly across the heater to provide even warmth throughout your bathroom. As the formulated liquid is designed to retain heat, it means that these kinds of towel rails don’t need to draw as much energy to maintain temperatures and will still radiate warmth long after they’ve been switched off. Our Ecostrad Magnum products use dry thermal elements to create heat. Beneath the glass of the Magnum is a length of ultra-thin filament that heats up to transfer warmth over the whole surface of the back plate. These towel rails are also very efficient as they convert a high percentage of the energy used into effective heat for your bathroom.